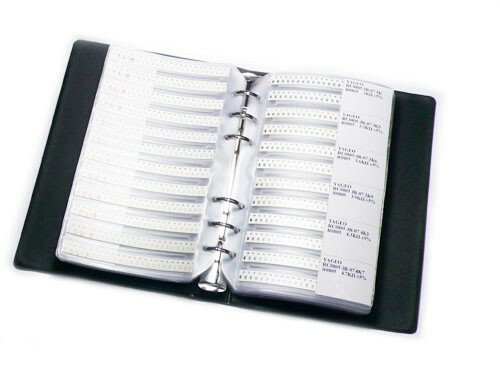 With this amazing SMT-resistor sample book, your worries has became pass tense. The book included 177 different models of resistors, 8496 PCs in total amount. 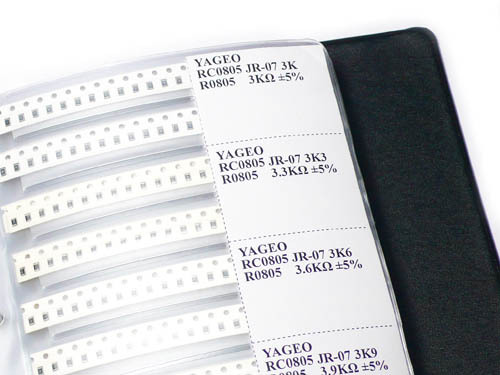 Resistors are made by YAGEO from Taiwan, with tolerance at 5%, RoHS compliant.